Home / Planning-and-Managemant / How is rural development more important than urban development for the progress of the country? How is rural development more important than urban development for the progress of the country? India lives in its villages, and while the cities have grown immensely over the last 20 years, rural areas have not seen that kind of development. For India’s economy to be strong, the rural economy needs to grow. Rural areas are still plagued by problems of malnourishment, illiteracy, unemployment and lack of basic infrastructure like schools, colleges, hospitals, sanitation, etc. This has led to youth moving out of villages to work in cities. This could be compared to the brain drain from India to US. Our villages need to grow in tandem with cities and standard of life has to improve there for inclusive growth to happen. If rural India is poor, India is poor. While we have international fully air conditioned schools in our cities, the schools in villages still don’t have benches and chairs, leave alone computers. We have a huge shortage of teachers in rural areas, and the school drop out rate is huge. In cities, we have wide roads, flyovers and underpasses while many villages still don’t have proper roads. Urban-rural road links can play a vital role in rural growth. 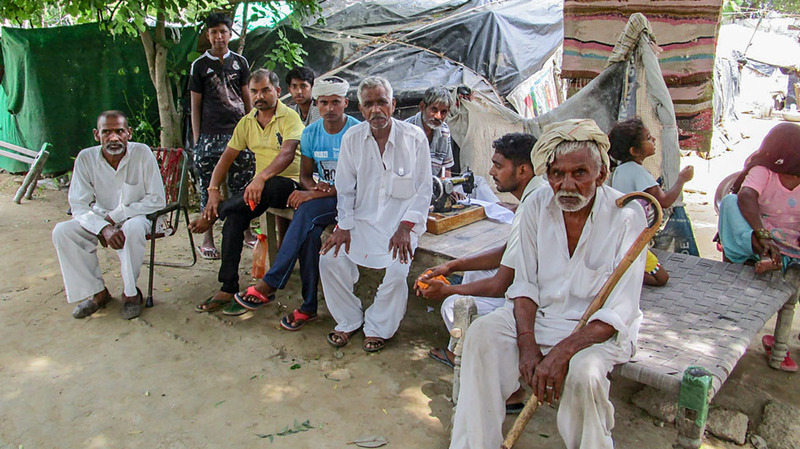 Employment opportunities are hardly there in villages which forces youth to move to cities creating imbalance in the ecosystem and leaving the villages deprived. While we may have numerous hospitals, nursing homes and medical facilities in cities, villages neither have health awareness nor health facilities. See the condition of major hospitals like AIIMS to know how many villagers have to flock to cities for even basic treatments. Proper land reforms to make sure land is held, owned, cultivated, irrigated to make the most efficient use and maximum output. Rural credit – Banking services need to be popularized and credit should be available for basic services like agriculture. Electrification – Many villages still receive only 2 to 6 hours of electricity per day which needs to drastically improve to empower the villages of India. Basically, what we need is to empower the rural people by providing them education and proper health care. They need to have infrastructure like electricity and water so that they are free from the cycle of droughts and floods. We need to give them self-employment so that they want to stay in villages instead of migrating in cities. There is a need to empower the villagers, and not just supporting them by food subsidies, loan waivers which end up crippling them. India will grow only when rural India marches hand in hand with cities in the twenty first century.